I have run this on an X and 8 so far no complaints. Will be running it on my bros 6 soon too. The 10 has yielded around 490 whp on pump gas at 27 psi and gets full spool at around 4200 RPM. Has very good quality no need to use exotic high zinc oil which I cant find here locally. The Evo 8 has done 10 second on stock block and has around 550 whp at 36 PSI nothing on it is ported and is only running cams, 3.5" fmic, intercooler pipes and ect. I really recomend these guys they are very good. Only down side is some times they are hard to get a hold of since its a 2 man shop but its still more personable service than FP or Map. They are quick to reply to emails and will make a custom solution for you. 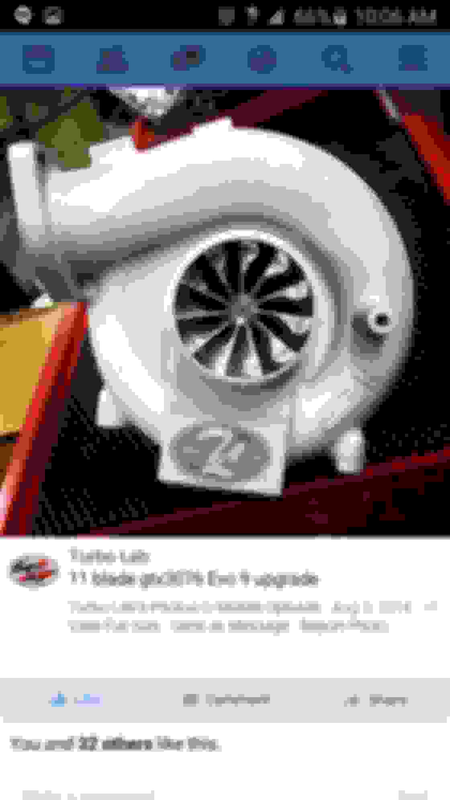 how does this turbo compare to the MHI 18k? You can't compare this turbo to a 18k as it's much larger. It's larger then a fp black... but uses same size turbine wheel. hot side exhaust wheel is the same size. cold side wheel is about 1mm bigger with 5/6 or 11 blades instead of 7. Correct as I said it uses the same size turbine wheel. My turbo lab turbo is a 7 blade. From what Austin told me their 5, 6, and 11 blade are 25g spec wheels. So there 60x78 to where my 7 blade is 60x83(EF4 size wheel). The fp black is 59x82. 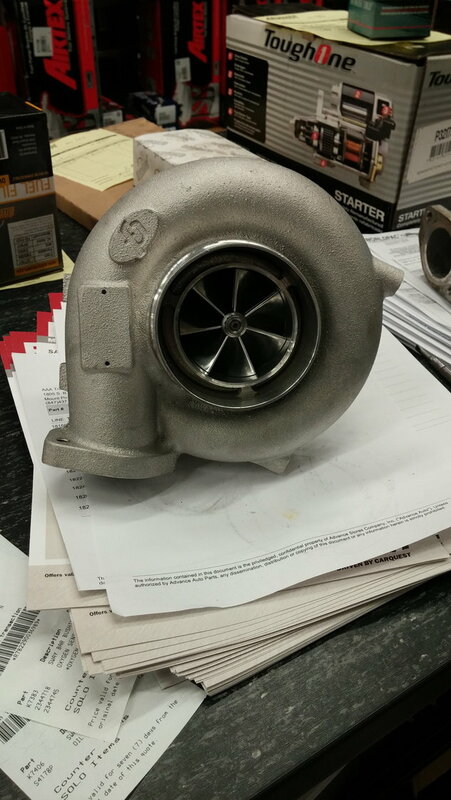 So 25g spec turbos have a bigger inducer but smaller exducer. Last edited by RM8RS; Jul 1, 2015 at 07:31 AM. This is their version of an fp red 58x76 (fp red is 54x76) and Tdo6h4r turbine available in a 9 or 11 blade. Last edited by RM8RS; Jul 24, 2015 at 05:30 AM. just installed the 7 blade 60x83 turbo from turbolab on my evo. my car isn't tuned yet so no results as of now. i'm on the waiting list for tom to work his magic with my setup hopefully. looking to push the stock block if possible to 550-600whp. i'll keep you guys updated if it makes it or if it vents the block out lol. Mines fully built also being tuned by Tom will see what he gets out of her. Interested in results. Post updates here or link to new thread here. Thanks. where can i find a listing of their evo 8/9 upgrade offerings?